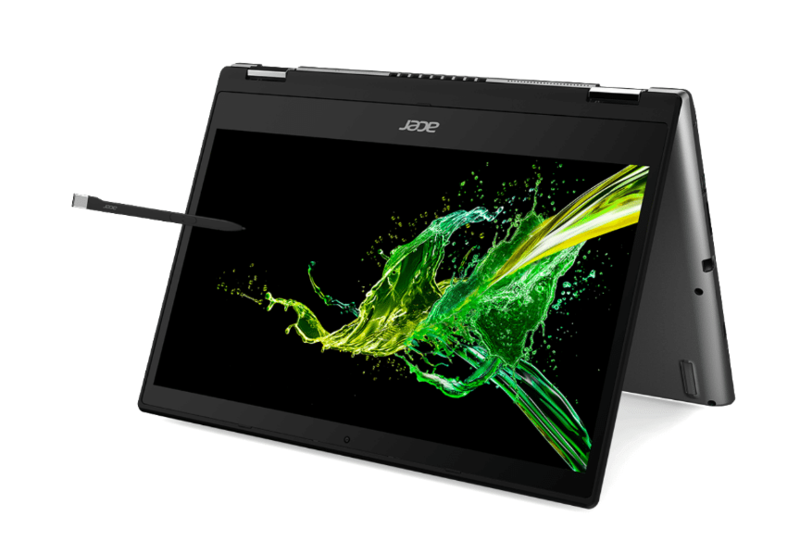 Acer today announced the new Spin 3, the latest addition to its popular Spin convertible notebook series. The combination of power, value, long battery life, and generous screen size sets the Acer Spin 3 apart. Powered by Windows 10 and up to an 8th Gen Intel® Core™ i7 processor and an optional NVIDIA® GeForce® MX230 GPU, it features a 512GB512 PCIe SSD and up to 1TB of HDD storage, a dockable and rechargeable pen, and enhanced Wi-Fi 5 performance. Weighing 1.7 kg (3.74 lbs), the new Spin 3 feels light in a bag or briefcase. It features a 9.6 mm (0.38 inches) thin bezel with a 79 percent screen-to-body ratio for more screen real estate on its 360-degree flipping display that can be used as a laptop or tablet. The 360-degree durable hinge is ideal for working, writing, sharing presentations, and gaming. 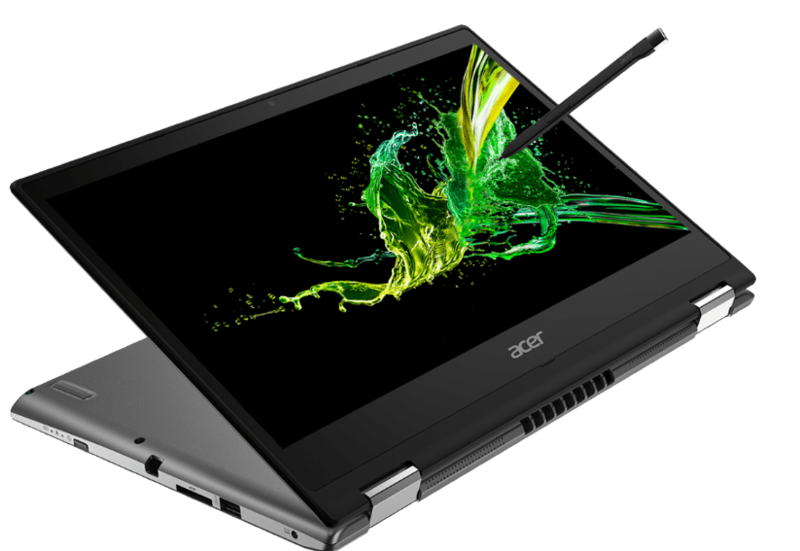 9.638 The Spin 3’s 14-inch Full HD IPS[i] touch display allows for input via pen and touch simultaneously, and the Acer Active Pen enables precise and direct on-screen input at multiple points of contact, making working on more complex projects more efficient. Professionals on-the-go can work for up to 12 hours[ii] without recharging the battery, and the dockable Acer Active Pen lets users instantly jot down notes and prevents misplacing themit from getting lost. The Acer Spin 3 will be available in South Africa in September. The price has not been confirmed yet. [ii] Listed battery life is based on MobileMark 2014® productivity mode testing with wireless on. Details of MobileMark 2014 testing are available at www.bapco.com. Battery life rating is for comparison purposes only. Actual battery life varies by model, configuration, application, power management settings,operating conditions, and features used. A battery’s maximum capacity decreases with time and use. Leaked: Samsung Galaxy S8 with all its information you need to know about!